Britt J. Rosen's degree was from the University of Florida in Building Construction (1980). Housed in the College of Design, Construction and Planning, the Rinker School is dedicated to construction science and management and is committed to excellence in education and research. Established in 1935, it is the oldest school of construction in the U.S. and the first program to receive accreditation from the American Council for Construction Education (1975). Twenty faculty members teach and guide the School's 500 undergraduate and 120 graduate students. The School’s new building, Rinker Hall, is the 26th building to have been awarded LEED Gold certification by the U.S. Green Building Council. Britt is interested in building construction, architecture and design and has appraised numerous custom homes in Miami-Dade, Broward and Palm Beach Counties. Alberto Bernal & Associates, Inc.
Behar Font & Partners, P.A. Felix Pardo & Associates, Inc.
Russell MacKenzie & Associates, P.A. Zero edge or infinity pools require special design considerations. The pool coping details demand that the architect to come up with creative solutions. Each zero edge pool requires a reservoir area for the collection and recirculation of the water and often interesting waterfall areas are designed into the swimming pools. The south Florida backdrops provide exciting opportunities for the architect’s imagination. 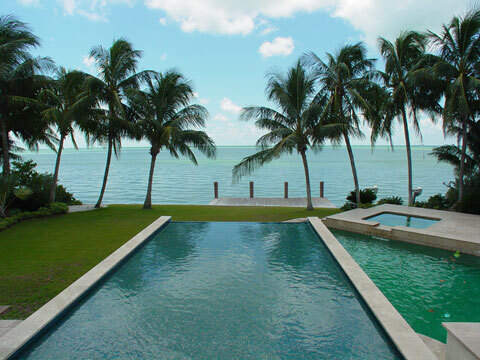 Britt J. Rosen has appraised numerous historic properties in South Florida. This includes over twenty historic homes in the City of Coral Gables which are recognized by The City of Coral Gables as historically and architecturally significant. Some of these homes are listed as landmark homes. The addresses of these are confidential; however, please call us so we can discuss any assignments of this type with you.